Bel-Ray supplies speciality lubricants and grease for the food industry. Bel-Ray formulates and manufactures No-Tox products using advanced technology and the best FDA approved raw materials available. The company provides No-Tox® Food Grade lubricants that are created with non-toxic additives meeting the requirements of FDA and NSF H1. They are Kosher, Pareve approved and Halal certified. Bel-Ray uses high-quality raw materials such as United States Pharmacopeia (USP) white mineral oils, premium additive packages consisting of anti-wear, anti-rust and anti-oxidation properties, all while maintaining food safety. 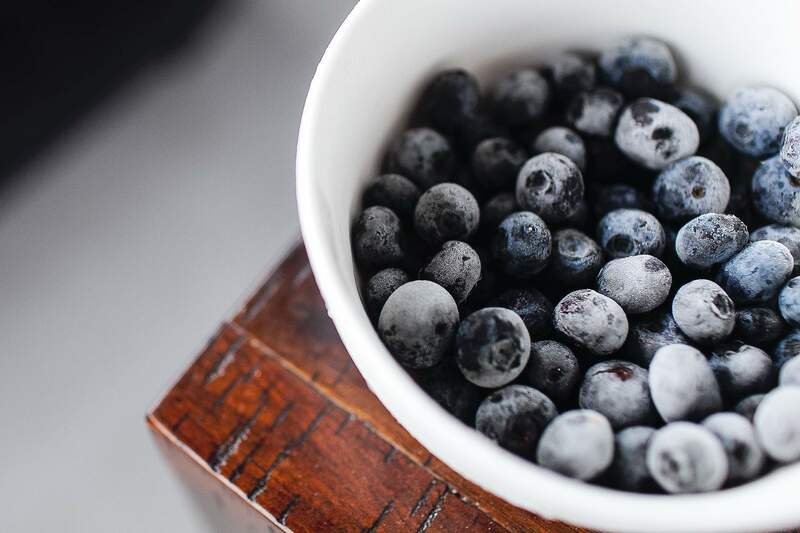 The company’s engineering standards coupled with No-Tox Lubricants ensure premium performance reducing downtime, saving money and maintaining food safety. These long-lasting formulas provide extended lubrication intervals to further improve efficiency. 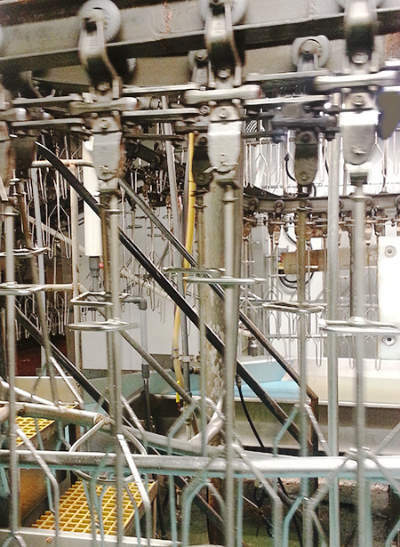 Comprehensive food grade lines are also available, which offer solutions for various applications, including bearings, chains, compressors, vacuum pumps, gears, hydraulics, wire ropes and specialty applications. Bel-Ray has re-engineered its industrial products to include upgraded formulas and a progressive packaging. The company specialises in labels that feature color-coding and iconography, which is critical for easy identification. An ISO viscosity grade guide is also available on all Bel-Ray industrial labeling, as well as global harmonising standards (GHS) regulatory information as required for global distribution. Bel-Ray manufactures No-Tox HD Food Grade Oils, a series of multipurpose white mineral lubricating oils that are NSF H1 registered for use where incidental food contact may occur. No-Tox HD Food Grade Oil goes through a rigorous, two-micron filtration system to meet the highest standards in cleanliness required by the food and beverage industry. These lubricating oils are available in twelve grades from ISO: VG 15 to 1000. Bel-Ray offers No-Tox HD Food Grade Grease, premium general-purpose grease that is designed for heavy-duty applications requiring advanced lubrication performance, available in four NLGI grades, 00, 0, 1 and 2. The grease is fortified with low-friction lubricating solids (PTFE), extreme pressure and anti-wear additives, rust and corrosion inhibitors, a special polymer for tackiness, and improved resistance to water wash out. Bel-Ray’s No-Tox Food Grade line of lubricants ensures that equipment runs smoothly, more efficiently and minimises the threat of contamination. The company produces its No-Tox Food Grade lubricants at their state-of-the-art facility in New Jersey. Bel-Ray has won the National Marine Distributors Association (NMDA) Supplier of the Year award in the Gold Category. 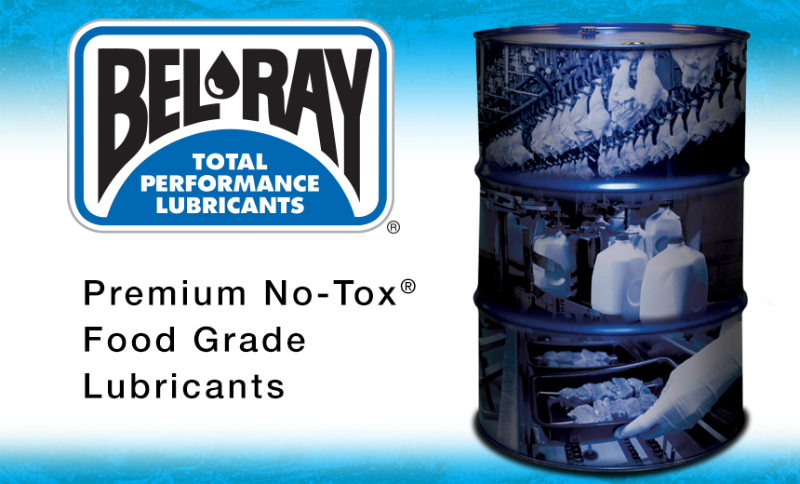 Since 1946, Bel-Ray has been the hardest working lubricant in the business. For use in mining and industrial equipment such as mills, cement kilns, and driers, Bel-Ray's new Open Gear System Lubrication product is designed to reduce consumption, vibration, and temperature of machinery.